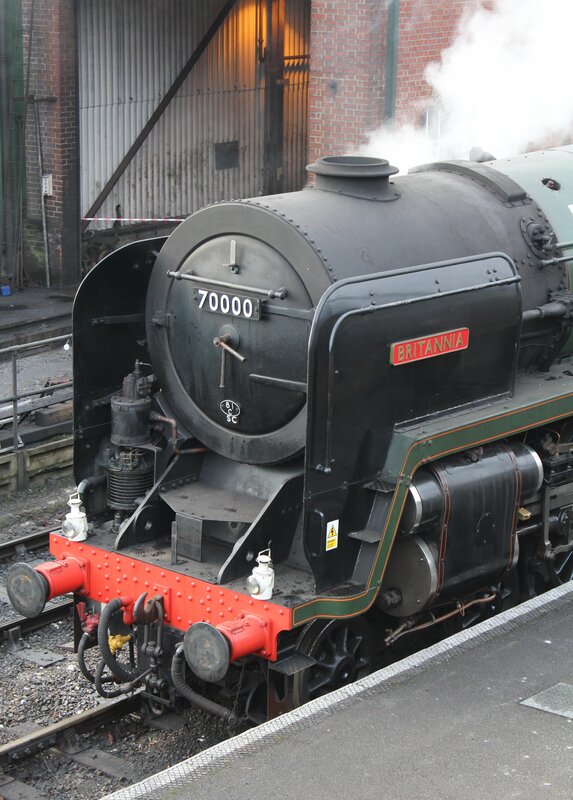 70000 Britannia was one of two visitors at the Watercress Line’s Spring Steam gala 2015. The locomotive has featured on this blog several times in the past as I’ve had the pleasure of seeing it in action on many occasions. The odd thing for me is that despite seeing it many times, I am yet to ever see its’ other surviving classmate; 70013 Oliver Cromwell. It’s funny how certain locomotives can allude the enthusiast whilst others almost become old friends! 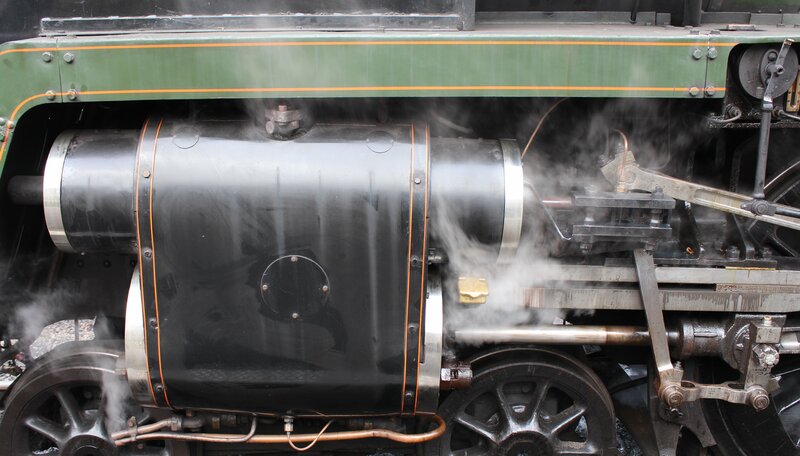 The locomotive’s main claim to fame is that it was the first British Railway’s standard type to be built. British Railway’s would eventually build 999 standard class locomotives, ending with 9F 92220 Evening Star. One of the big debates surrounding British Railways standard class locomotives is the extent to which they were a waste of money or necessary and I won’t be going in to that discussion today! However I will mention is that BR Standard class locomotives are only one part of the picture. British Railways actually built more locomotives to pre-1948 designs than standard class types – 1538 in total. 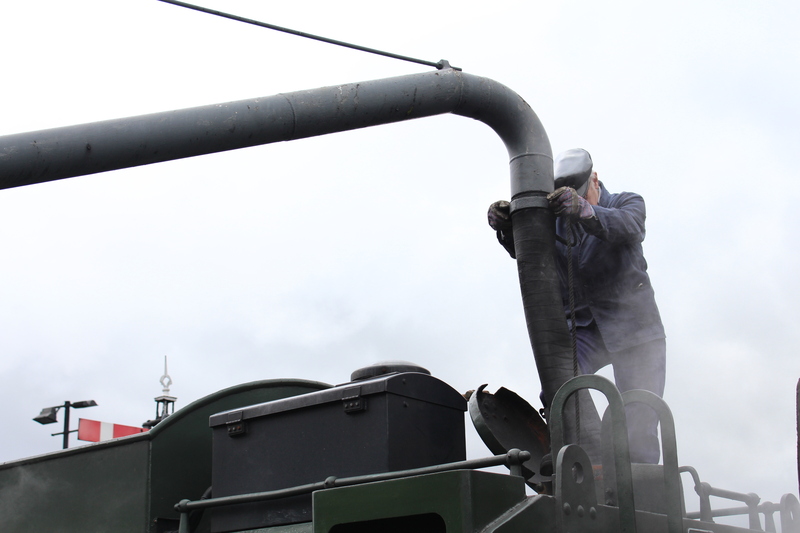 More significantly, many of the diesel types built to replace steam traction were either under-tested and unreliable and/or built to perform duties that were no longer required. The scale of wastage of resources on the railway system in Britain in the decades after the Second World War is quite staggering! With some exceptions, the BR Standard class locomotives were generally well regarded from an operational point of view. The 7MT Britannia class, of which 70000 was the first is a good example of the logical considerations of the nationalised railways. For example, for ease of maintenance the running plates were raised high and they so that they only needed two cylinders they needed cylinders that were as big as possible to fit within the British loading gauge. Interestingly one might have considered that being the first BR Standard class would have made 70000 a contender to be preserved by the National Railway Museum and you’d be right. 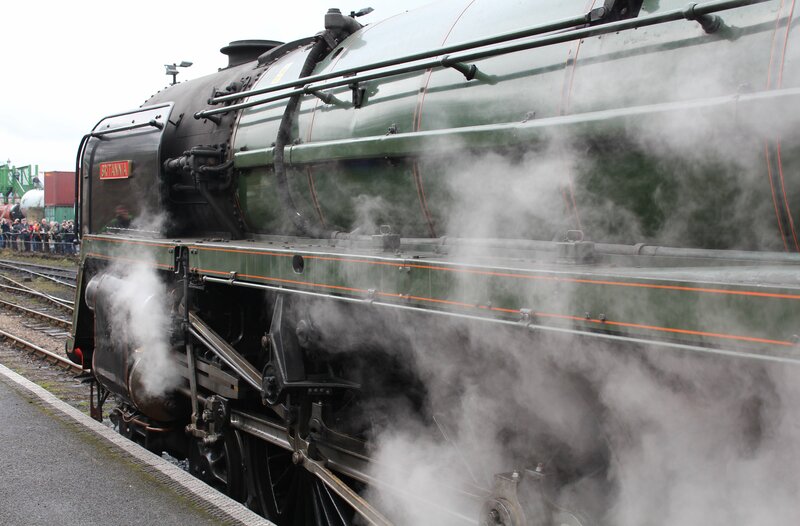 However, the locomotive’s poor mechanical condition at the point of it’s withdrawal from British Railways led to the NRM to select classmate 70013 Oliver Cromwell instead. 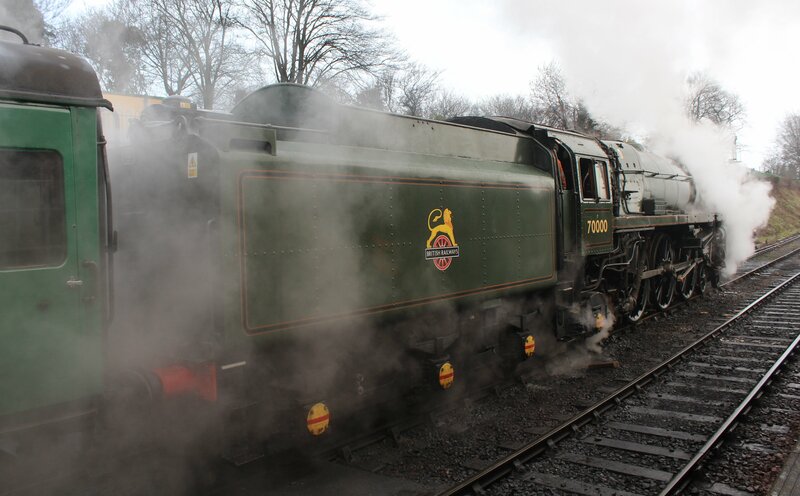 70013 also has a claim to fame as it hauled the final steam powered passenger train on a British Railways service. Fortunately this did not prevent the original “Brit” from being saved from the cutters torch and the locomotive was purchased by the Britannia Locomotive Group from British Railways. It is now part of the Icons of Steam collection. It was good to see 7000 running again during the Mid-Hants Railway’s Spring steam gala (click here for more.) 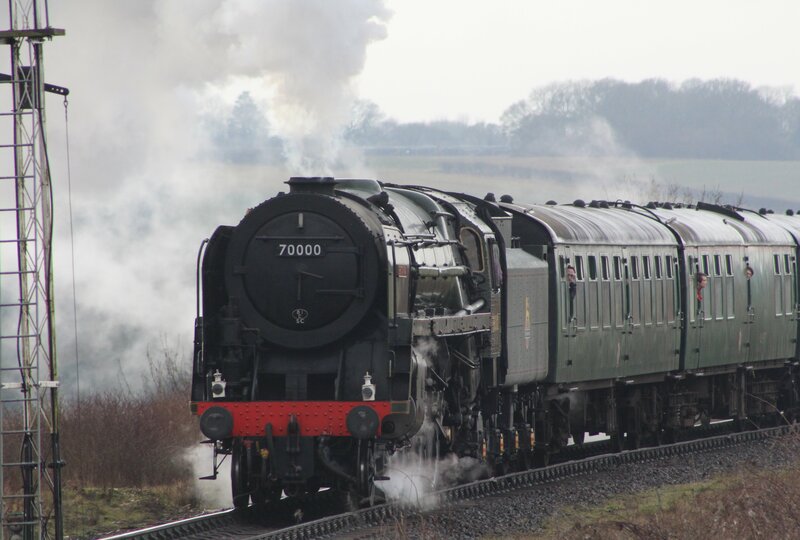 Seeing her in action again made me wonder if my next encounter with a 7MT will be with Britannia again or at long last 70013 Oliver Cromwell for the first time instead. Whoever said train spotting is dead?! I’m sure there are others… I’ve never seen the IOW terriers in steam and perhaps more significantly you’ve also seen Mallard in steam, something that I suspect is unlikely to happen again any time soon. Not that I’m keeping track lol! I will have to try and dig out the photos from the Mallard run next time I’m in Yorkshire pretty sure my grandmother has them.